BushmanK tries to enhance the definition of the tags man_made=mast and man_made=tower. The voting for nesting_site has started on Dec 5th and will be open until the 19th. Markus Schnalke wants to know how to deal with worthwhile suggestions made on a proposal after voting has started. Marc Zoutendijk created an Overpass query to show all fixme tags on a map. A comment from Andy points to his tool to generate GPX files of fixmes (and notes) to go out and visit them. Sarah Hoffmann is the new mapper of the month. Mapanauta writes an interesting diary entry about the results and new initiatives that were discussed during the GeoChicas/ Geoladies event that happened during the SotM LatAm. Peter Bremer writes, in his blog, that Mapillary released new raster tiles showing all traces and photo locations, for use as a layer in map applications that don’t support vector tiles (such as OsmAnd). OsmAnd users would find the step-by-step instructions, to add the tileset to OsmAnd, interesting. Mappa Mercia has won a prize for its traffic heatmap at the Birmingham Highways Data Challenge. Congratulations! Matt Amos asks on GitHub whether OSM should run a Mattermost server as an alternative communication mechanism to Slack (used by OSMers in the US) and IRC. The Russian blog SHTOSM reported (automatic translation) about Malenki and the great services he did for OSM and the OSM community. Christoph Hormann writes an insightful post on the imports list, prompted by the San Francisco building heights import. Among other things, he says “The main aim when planning and performing an import (…) needs to be to allow you and your fellow importers to responsibly and productively participate in the community process of open map production” and “It is completely fine to articulate diverging experiences and opinions but in return you also need to respect the views of others”. The OSMF warmly thanks all the donors. A special thank you goes to Mapbox. The wrong list of members was used while sending out the ballots for the OSMF election. The decision was to reissue the ballots and extend the voting period until 16:00 UTC Wednesday, 14 December 2016. Due to the OSMF elections, Christoph explains how Single Transferable Vote (STV) voting works. OpenStreetMap US will have board elections soon. The manifestos of all candidates can be found on the wiki. A group at the San Jorge University of Zaragoza organized a mapathon (automatic translation). Up to the 16th of December, you can apply for the first State of the Map Africa. Until now there’s been one application from Uganda. Blake Girardot calls to participate in the planning, commenting and development of OSM Tasking Manager 3.0. HOT launched a fund-raising campaign to support local mappers from vulnerable places with micro-grants. Severin Menard criticizes HOT’s transparency and questions the donation campaign’s purpose. Tyler Radford tries to clarify and promises an enlightening blog post. Paul Norman announced major changes to OpenStreetMap-Carto, which hopefully will soon lead to a database reimport. As a result, the new tags could easily be transferred to the main map. OSMLanduse.org is live – depicting landuses/landcovers according to OSM data by contrasting colours and providing a pie chart of the composition. A tutorial explains how to add labels on a map using mapzen.js and Tangram. A talkfr on free digital cartography and sustainable development has been held by members of several OSM communities from West Africa, at the world summit on Open Government Partnership. Chris Hill writes in his blog post about how to replace OpenLayers and use Leaflet. Some Brazilian mappers made a pull request to the Maps.Me application in July, which got accepted now. The pull request adds the translation to Brazilian Portuguese and fixes some errors in the current European Portuguese translation. Problems in the translation are making users to insert data tagged wrongly on OpenStreetMap. Akbar Gumbira shares the work he did in GSOC around the problem of resource sharing in QGIS. Marc Tobias points out osm4scala, a library for Scala that can read PBF files. OpenStreetMap Carto Style 2.45.1 2016-11-28 Fix svg regression. Maps 3D Pro * 4.1.3 2016-12-01 Minor enhancements and bug fixes. Maps.me Android * var 2016-12-02 Bug fixes and new map data. Komoot iOS * 8.5 2016-12-03 User profile reworked. Mapillary iOS * 4.5.8 2016-12-03 Needs iOS 8 or higher, added basic position & direction editor. Komoot Android * var 2016-12-05 Minor enhancements. Mapserver 7.0.3 2016-12-05 Please read release info. Maps.me iOS * 6.5.4 2016-12-05 Bug fixes and new map data. … the OpenGridMap of the Technical University of Munich? The TUM reported on this important international tool for energy transition in Germany and other countries. … there’s a way to discover suspicious changesets? The Washington Post shows six different maps which show the anatomy of America’s vast infrastructure. The maps are created by using data from OpenStreetMap and various government sources. The president-elect is likely to suffer some nerves with the necessary investment of half a trillion dollars to maintain and expand this infrastructure. The New York Times reports about the friendly settling of a land dispute between Belgium and the Netherlands. 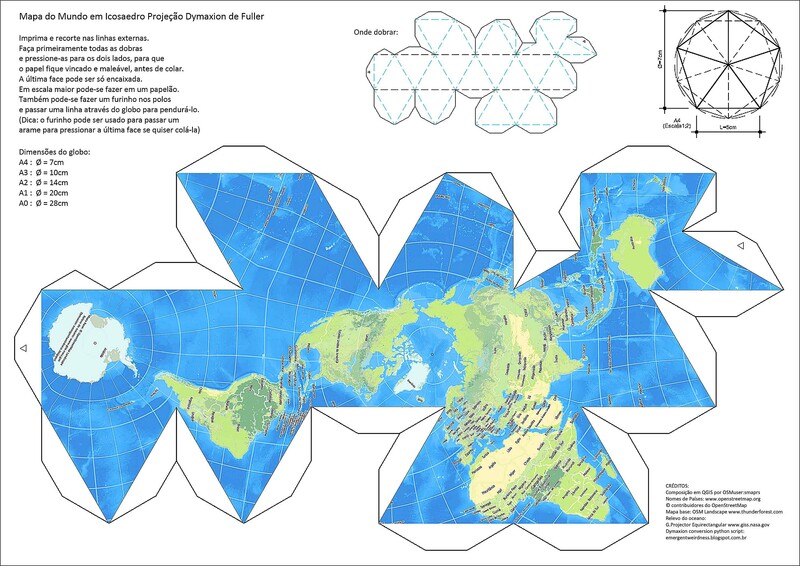 We featured the Dymaxion projection, the projection of Autagraph, and the Pseudo-Autagraph-projection by Marcin Ciura. Now Jos Dirksen presents an animated projection. Vox published a video that explains the problem of the projection of a three-dimensional image (globe) into a plane (map) very vividly. Srinivas Kodali from Hyderabad writes about Hyderabad GHMC wants to have so called smart addressing through a PPP model and he is seriously concerned about the state of all geo databases with closed numbering systems. Here is the tender document (PDF). George Joseph maps U.S. pipeline accidents of the last 30 years in an animated map. This weeklyOSM was produced by Hakuch, Peda, Peuc, Rogehm, SomeoneElse, Spec80, SrrReal, YoViajo, derFred, jcoupey, jinalfoflia, kreuzschnabel.